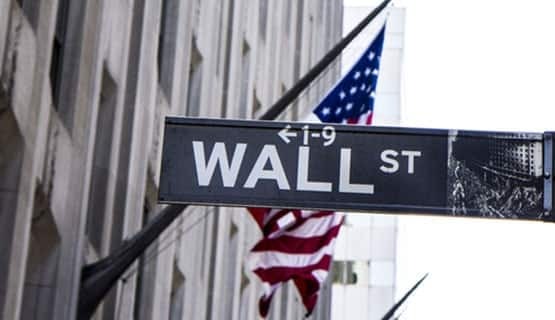 Wall Street traded higher overnight shrugging off trade tensions, amid rallying tech stocks led by Apple and a 2% gain in oil prices. Meanwhile, Europe is looking to take the lead from the US with European bourses broadly looking to start the session on the front foot, with the FTSE lagging behind its peers. However, Wall Street’s optimism was unable to keep Asian stocks afloat. Markets across Asia slipped lower as another round of verbal threats, escalating US – Sino trade tensions saw investors once again take flight from riskier assets. Asian markets and emerging markets, in general, have faced persistent selling pressure across recent months amid escalating trade tensions between the US and China. With the latest sparing of words, we are clearly no closer to any solution. This combined with the emerging market currency crisis sparked by Turkey and Argentina has seen the MSCI’s emerging market index fall to its lowest level in 14 months. The heavy selling out of emerging market currencies is on pause for the moment, but there is no mistaking the downtrend which is still in place. Whilst the risk of contagion from Turkey and Argentina has eased, for the time being, this could change rapidly should the US – Sino trade war escalate further, and uncertainty and trade fears spike higher damaging confidence and boosting the dollar. Apple was a notable mover in the previous session and will remain under the spotlight as investors look towards its latest product launch. Apple is trading at a 5-week high, with larger than average volumes as investors dive into the stock ahead of the annual iPhone introduction. Whilst there has certainly been concerns over Apple’s ability to keep pulling it out of the hat as far as the iPhone is concerned, investors are certainly not displaying those fears. The 2.5% lift overnight means Apple is now up 32% across the year, and this is despite the growing trade tensions which are an obvious headwind for the firm. Oil is extending gains overnight with a combination of factors supporting its lift. A combination of falling oil inventories, looming Iranian sanctions hitting output and hurricane Florence which is expected to hit the US east coast and disrupt the energy market boosted oil in early trade, extending 2% gains from the previous session. Data wise noteworthy releases include the US PPI numbers ahead of the US CPI figures tomorrow. With the Fed expected to raise interest rates this month, these readings are unlikely to change that. However, investors will be looking for confirmation of the fourth rate hike this year and strong inflations data will do just that.